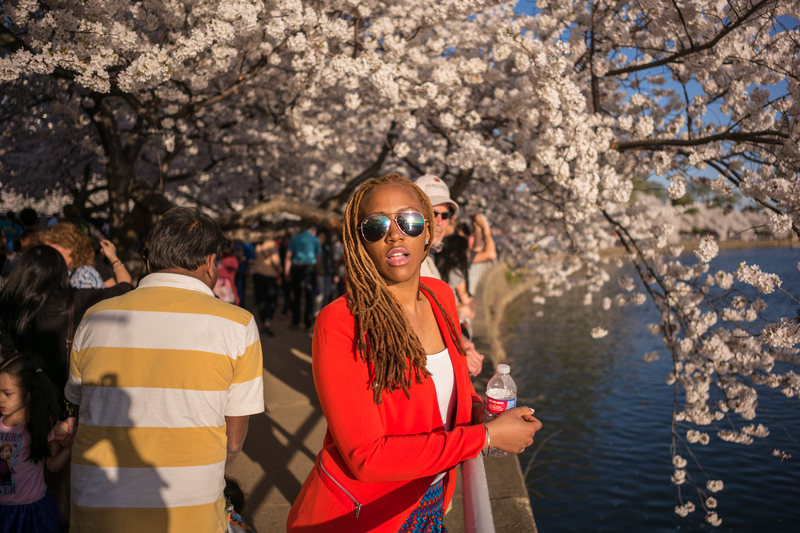 All pictures taken by the Leica M and either the 28mm Summicron or 50mm APO-Summicron-Asph. 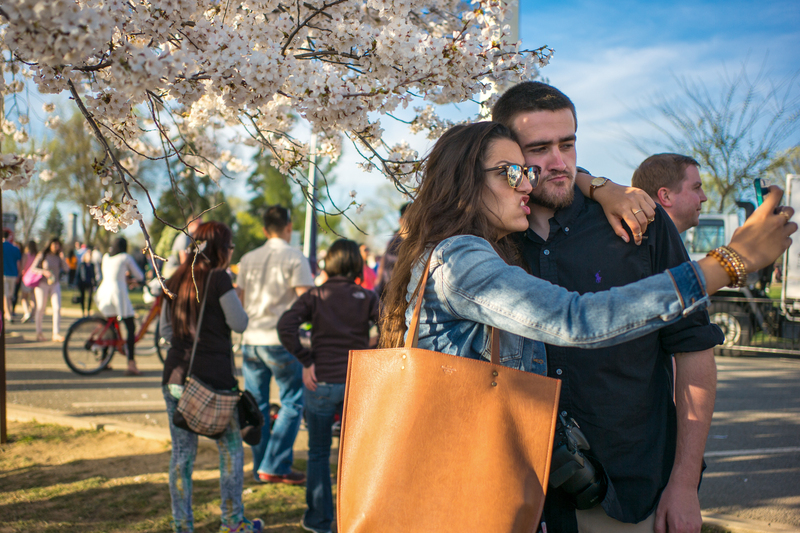 Since the advent of the iPhone, the Tidal Basin at Cherry Blossom time has taken on a frenzied atmosphere, as crowds press in to have their pictures taken, by others or themselves. 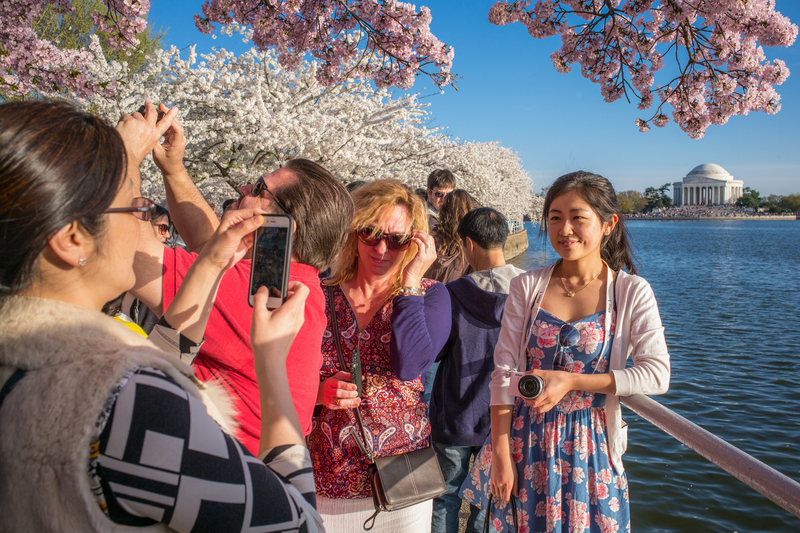 Even when beauties show up for their portraits, it’s hard to believe their friends can get a clean shot without several smartphones in the foreground. Oh sure, there are faces that can be isolated from the crowd. 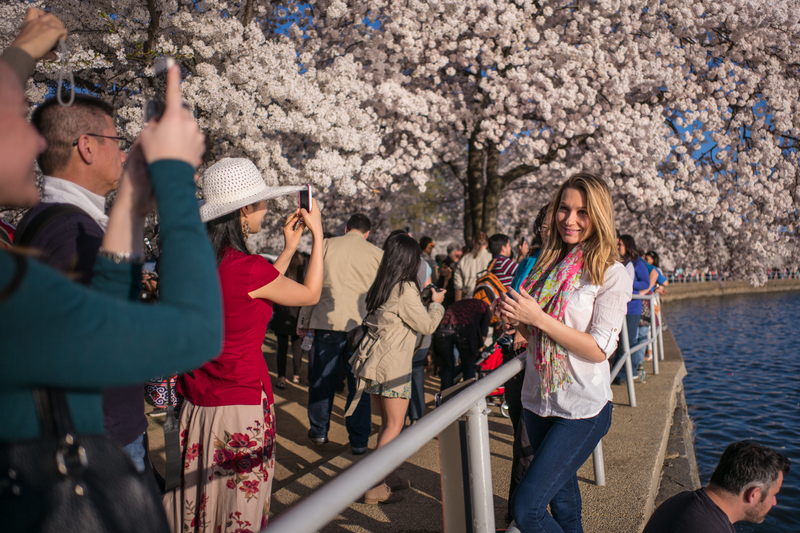 And sometimes it’s fun to see people posing amidst the blossom frenzy. 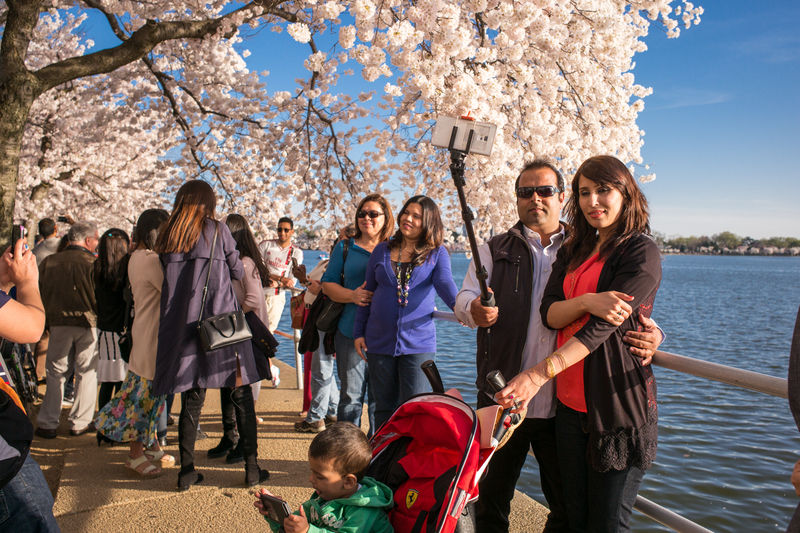 But the advent of Selfie Sticks is a pretty horrifying development, and if you note, even the toddler seems to be taking a selfie. And then it seems the only way to stand out and have a memorable image taken is to mug for the camera — your own camera. But as you can tell, it was a lovely night, and after a long winter and a late bloom, the blossoms this year are truly awesome. 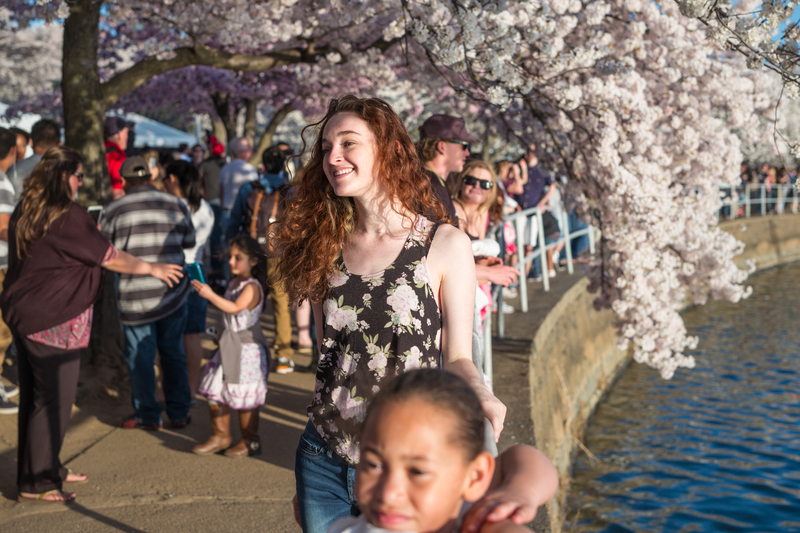 This entry was posted on April 13, 2015 at 12:42 pm and is filed under Uncategorized with tags 28mm Summicron, 50mm APO-Summicron-ASPH, Cherry Blossom Time, Leica M.	You can follow any responses to this entry through the RSS 2.0 feed. You can leave a response, or trackback from your own site.